Constancy and a striving for solid positions are what define Sergei Tiviakov’s opening repertoire. On his two repertoire DVDs against 1.d4 the top Dutch grandmaster presents to you exactly those variations and ideas with which he himself has been successful in tournament chess for many years. On the two DVDs all important systems which are available to White after 1.d4 Nf6 2.c4 e6 are dealt with in detail. Also, in many areas Tiviakov offers you a choice between alternative variations for Black, between which you can decide according to your temperament. 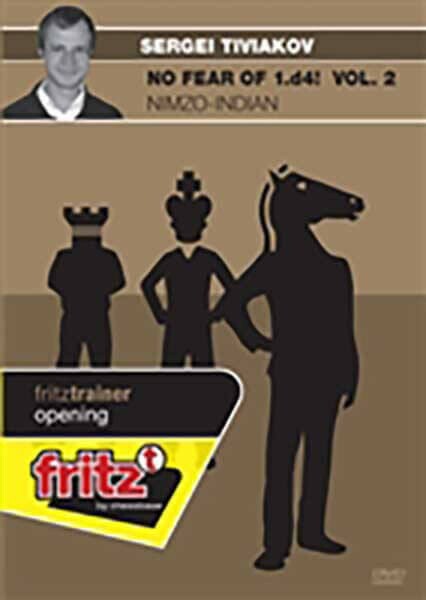 A further highlight of the DVDs is Tiviakov’s collection of all the games which he has played during his career with the Catalan, the Queen’s Indian and the Nimzo-Indian. Many of these are published on these DVDs for the very first time. Video running time: 5 hrs 36 min.